Some upgrades can visibly be seen, heard, or felt in terms of performance. Other upgrades are much more subtle and hidden…but they are still an upgrade. When my 2017 TRD Off-Road 4Runner reached 20,000 miles I took a look at my cabin air filter to see what condition it was in. It probably could have lasted much longer, but I thought it would be a good time to upgrade it. Most people (including myself) would typically just throw the cheap cabin air filter replacement in and call it good. 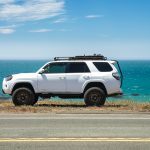 I was going to do the same and then I stumbled across something that caught my eye – a K&N cabin air filter for a Toyota 4Runner. K&N is very well known for their air filters and cold air intakes; however, I had no idea they made cabin air filters. I never thought I would want a super high-performance filter for my cars A/C system, but then I thought to myself that I live in a dusty area and many of my friends also have allergy problems. I also don’t mind breathing in super clean air either! It also helps capture most mold, mildew, fungus, spores, bacteria, germs, etc. As you can see, the VF2000 does what a cabin air filter should do, filter the air. However, what I was really impressed with was how it is reusable and has a 1,000,000 mile warranty. I know this might sound silly but just think of the money you could save in the long run. Just take a look at the difference in construction of the factory and K&N cabin air filter as well. The K&N has metal mesh and a rubber exterior that provides a much more rugged and durable product. Open your glove box and remove all the contents inside. 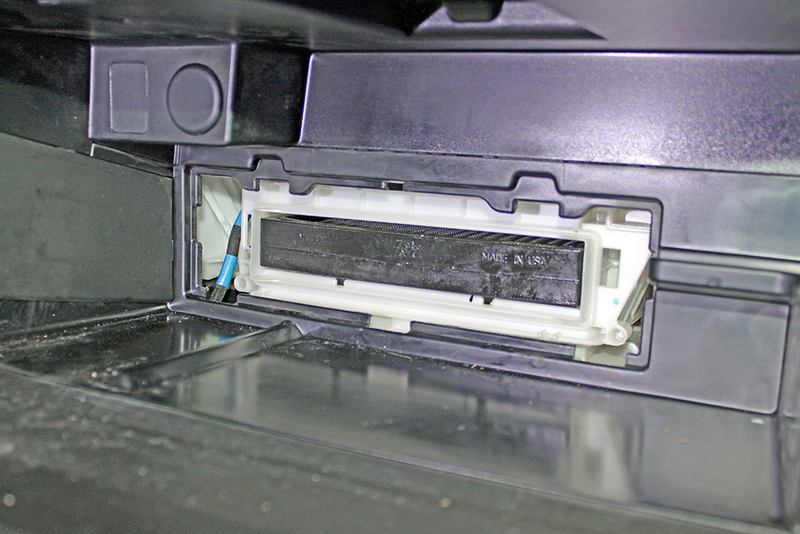 You will need to gain access to the very back of the glove box compartment to get to the cabin air filter. 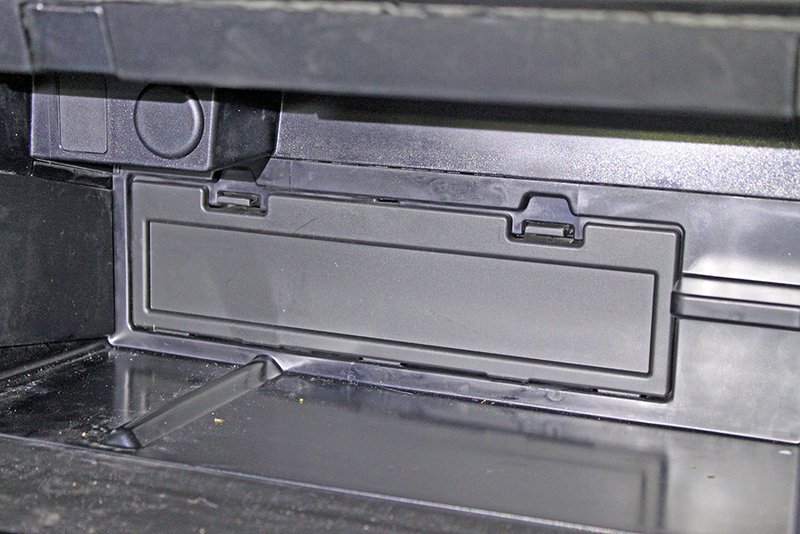 After removing all of your items inside your glove box, locate a small rectangular hatch in the back with two (2) tabs holding it on. 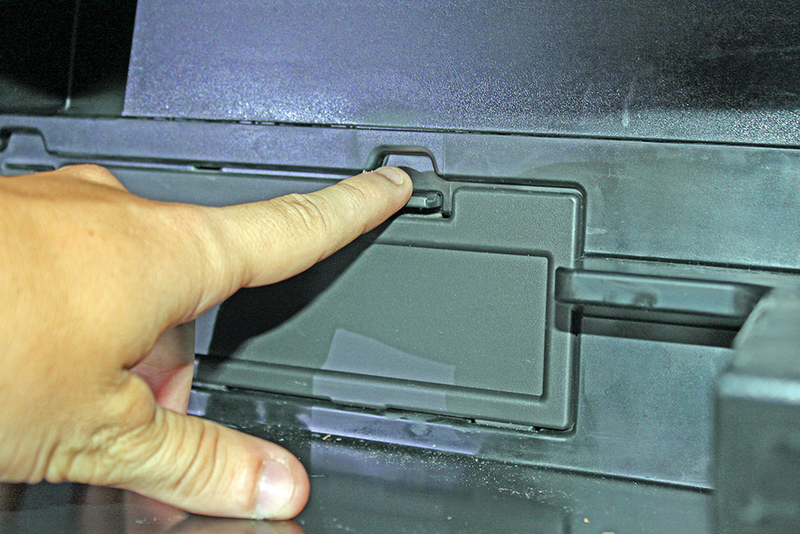 Once you locate it pull down on the two plastic tabs in order to free the plastic hatch that covers the cabin air filter. 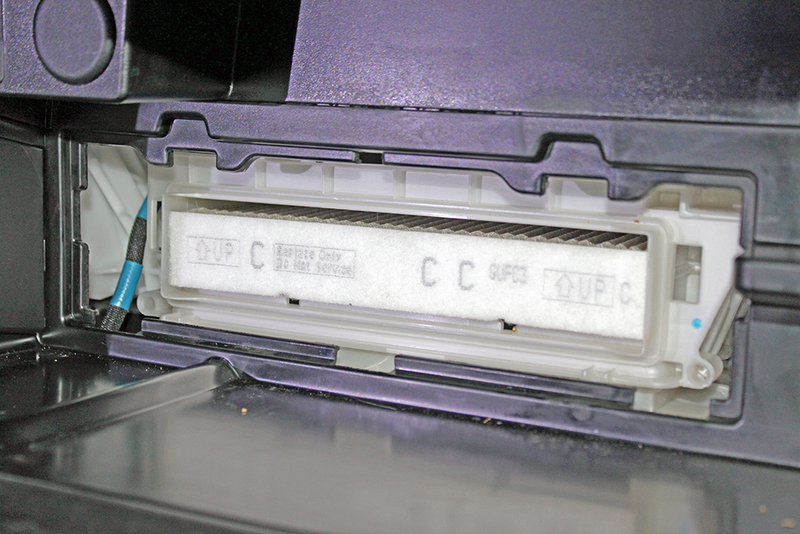 Remove the existing cabin air filter by grabbing the edge of the filter and pulling straight out. This should slide out of its location very easily. Slide the K&N air filter into the location that you removed the old filter. It should also slide in very easily. Make sure you push it in completely flush with the back of the glove box. After installing the K&N VF2000, go ahead and put the plastic hatch that covers the cabin air filter back on. Enjoy some fresh, clean air for many miles to come! Although I didn’t purchase the K&N VF2000 with hopes of a huge performance upgrade, I did want a quality cabin air filter to provide clean air to me and any passengers in my vehicle no matter what the outside conditions are. I drive a lot of gravel roads and live in a dusty area. This said, the inside of my car can get dusty over time. After installing the VF2000 it seems that I have very little to no dust coming inside my car through the air conditioning system, whereas I used to notice a dust accumulation beforehand. There are a lot of different variables that could be the cause of this…including my mind thinking there is less dust because I have a high-performance cabin air filter. I am sorry I don’t have a scientific test to determine the performance of the K&N sir filter in comparison with the factory air filter, but I do believe it is doing a better job at removing particles in the air. 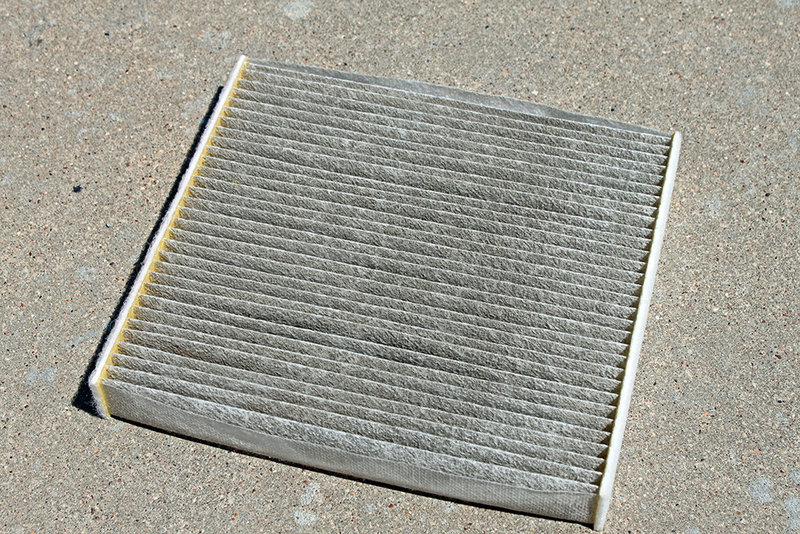 Would I Suggest Getting a K&N Cabin Filter? 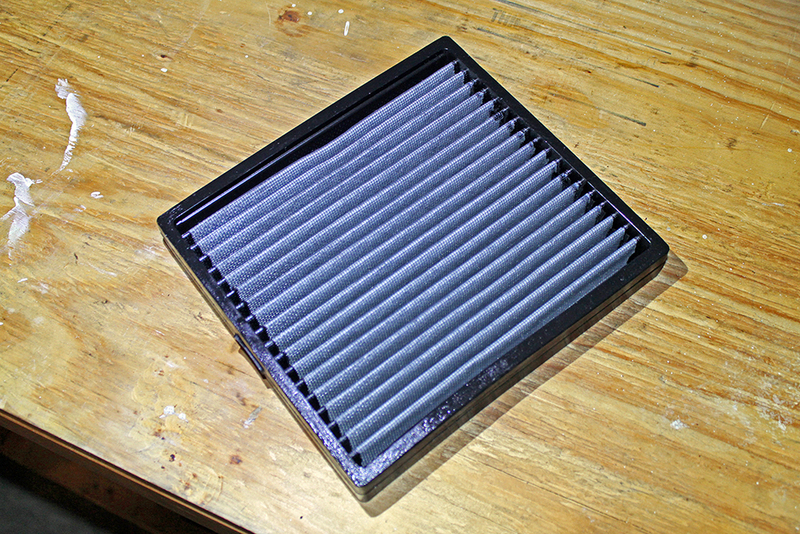 If your existing cabin air filter needs replacing and you have some extra money for a cool cabin air filter, I would definitely recommend getting this air filter. However, if you are on a tighter budget and have limited money for installs and upgrades I would not recommend getting this cabin air filter and instead use the money on a different upgrade such as lighting. In conclusion, I am pleased with my purchase of a K&N VF2000. I think it does do a great job at filtering the air, but really more than anything it is just cool to say you have a K&N VF2000 cabin air filter. Who knows…maybe I get 0.1 horsepower increase from this install. Hi Clint, thank you for this review. Quite interesting I never thought about swapping / cleaning the filter before. I had a look on Amazon and few people complained about a very strong / nasty smell that this filter produces, at least for the first weeks. Did you notice something similar with your unit? Carlo, I also read some of these reviews before I purchased my VF2000. I contacted K&N and they had responded with a statement along the lines that their cabin air filters should make the air smell better, not worse (of course they probably wouldn’t state otherwise). 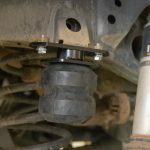 Since I have had mine installed for about a month now I have not smelled any type odor inside my car, so for me personal I have not had any issues, only improvements. What about maintenance? Are there chemicals required to spray on before washing the filter? Thanks! I do not believe it is required to utilize a cleaner, but K&N recommends it. 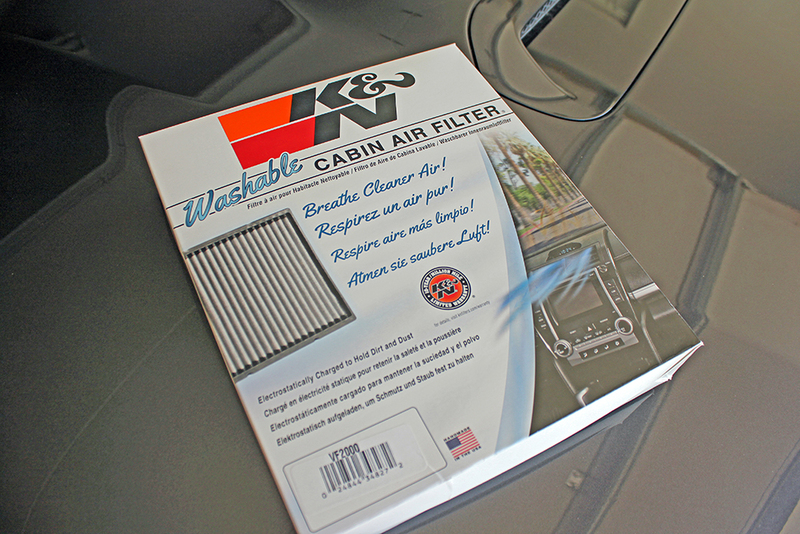 K&N offers a “Cabin Filter Cleaning Care Kit” that includes a spray cleaner as well as an air freshener spray. I hope this answers your question.